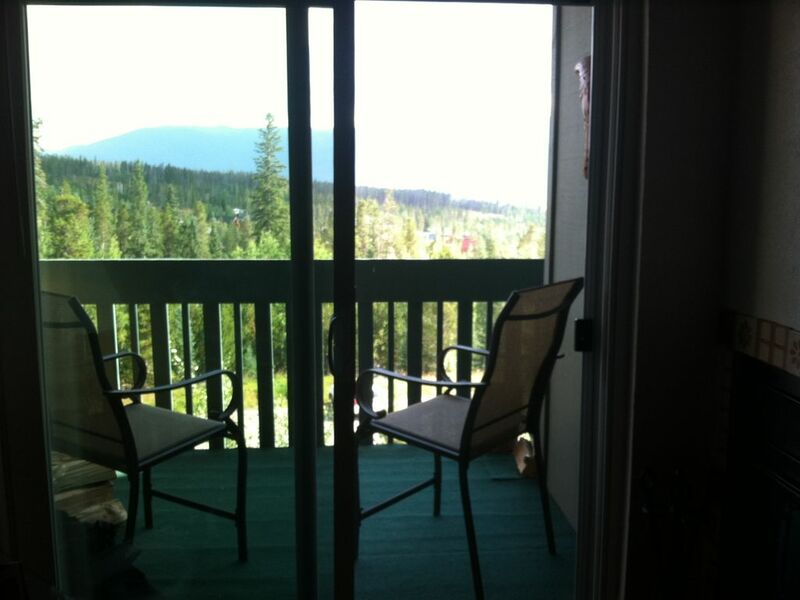 Wake up to views of Buffalo Mountain out your bedroom window and views of the Continental Divide off the balcony. Quaint condominium high in the mountains, but close to shopping, skiing, hiking, bike paths, and on the Summit County transportation line for easy access to whatever activity you chose. Washer and dryer in same condominium building for your convenience. Free Wi-Fi. Beautiful guest club house with a pool, 3 hot tubs, racquetball court and weight room. I have lived in the Chicago area all of my life and came to know and love Colorado in the late 90's. In 2002 I purchased my condo up in the Wildernest area of Silverthorne and use it as much as possible in the winter as well as in the summer. Since purchasing the unit, I have updated all the furnishings and linens for my appreciation as well as for the renters. The condo is located about 4 miles off of I-70 and up high enough so it is quiet, with little traffic. The view off the balcony is spectacular. I have many "returning" renters because they are quite satisfied with the accommodations and appreciate the improvements. Close to skiing, hiking trails and of course the Outlet Mall at the base of Wildernest. Master Bath has shower and toilet enclosed - sink separate. Main bath has tub, shower and sink. Beautiful views off the balcony. Seats 6 at table and 2 stools at counter. 2 stools for admiring the view. Can be rented at the Frisco Marina. 10 stairs to 2nd floor - no elevator. Sorry. No Smoking Unit. No pets allowed. Only owners dogs may stay in unit. Clean, spacious and comfortable. Amazing view of the continental divide! Sounds like you enjoyed your stay. Thanks for the review and yes, I agree, the view is spectacular. We enjoyed this condo, for four adults this past weekend. It had all we needed and we were very comfortable. Lovely views. Close to several ski area's. Be warned going to Copper, I70 can back up very badly! Go early. Nice cozy condo. Convenient to ski slopes. Condo was clean, well supplied for cooking, close to ski slopes and perfect place for families. Thank you for the review. Yes that just about sums up my condo. So glad you enjoyed your stay. Thanks you for the nice review on my condo. I stay there my self twice a year to ensure that everything is pleasant for my guests. Thanks for the nice review. I love my condo up here in Summitt county and as a matter of fact, I'm here now for a little over a month. Glad you enjoyed your stay. Raquetball and weight room in club house, Tennnis courts on property. Christmas and New Year's week - Holiday rates. $180 per night, $1200 per week.